I left my tab 2 to charge and it always seems to take ages now ! , anyway i left to charge , it had been charging for 6 hours as i thought but it was not actually charging as it went down to 0% , i left it as i thought it would charge eventually , i went to bed ,there was a sudden flash of light from the tab ,and i checked the tab but i wouldn't do anything . I have tried to charge it but nothing is happening , i have tried the hold down power button and volume button for 30 secs then just the volume button for 20 seconds and nothing happened. I have tried connecting to the usb on my computer holding the power button and touching the screen for 60 seconds , nothing happened . It is now connected to my laptop , hoping it may come back to life . I don't want to lose all my stuff on there so i am a bit unsure how i can solve it . 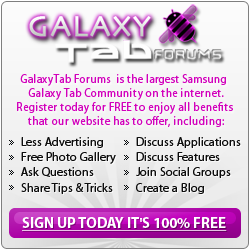 Welcome to the forum Jazzycat! You don't say how old your tab is, or whether it is still under warranty. Doesn't look good, you've tried everything that I would suggest. Hi . thanks for the welcome . i have just found a cable i had bought a couple of months ago a magnetic one which i found was playing up to , anyhow i plugged it in and hey presto it has started to charge , so far 75% so fingers crossed it will be ok now . I have had the tab since a year last April and is has updated to Nougat . Tab came on it fully charged and strange thing the date was 1st Jan 2014 time 16.05 how strange is that ! Great news! If the problem was the charging cable, you are a lucky fellow indeed.